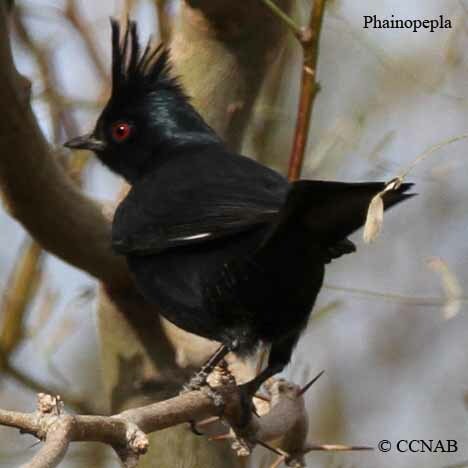 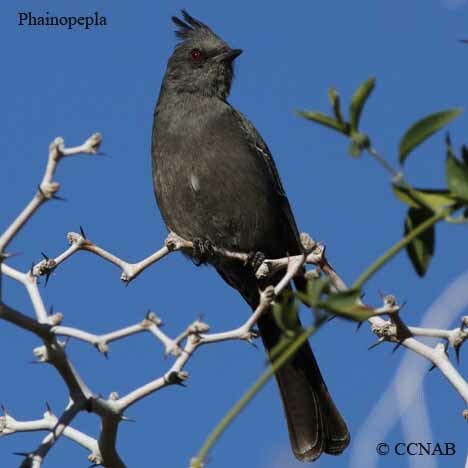 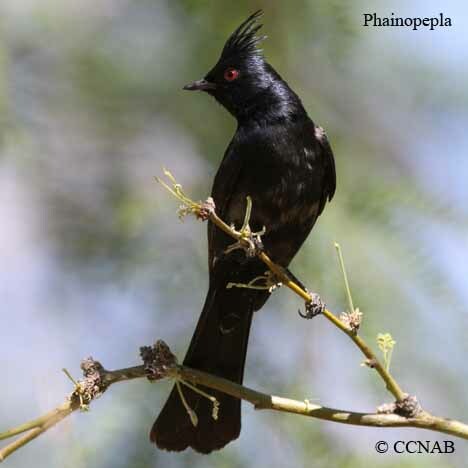 The Phainopepla is an open range bird, which is more likely to be seen in dry groves of trees situated in an arid landscape. 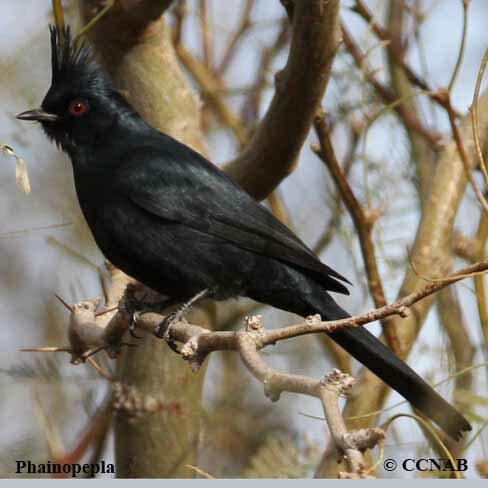 The male is a glossy black bird with a crested head, the female is a gray coloured bird with a crested head also. 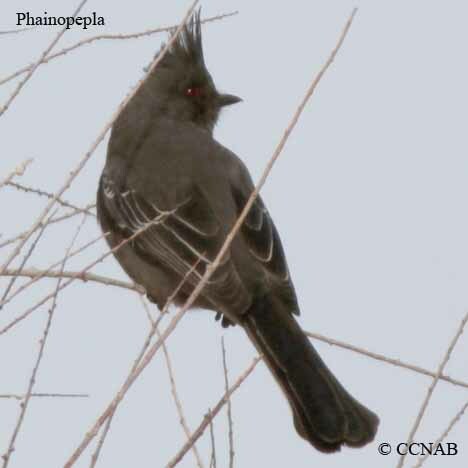 These birds are seen through the interior of Mexico, up through Texas, south into northern California.